bigger, longer and colder than ever before! Our 3rd Big Freeze is back and it’s going to be bigger, longer and colder than ever before! 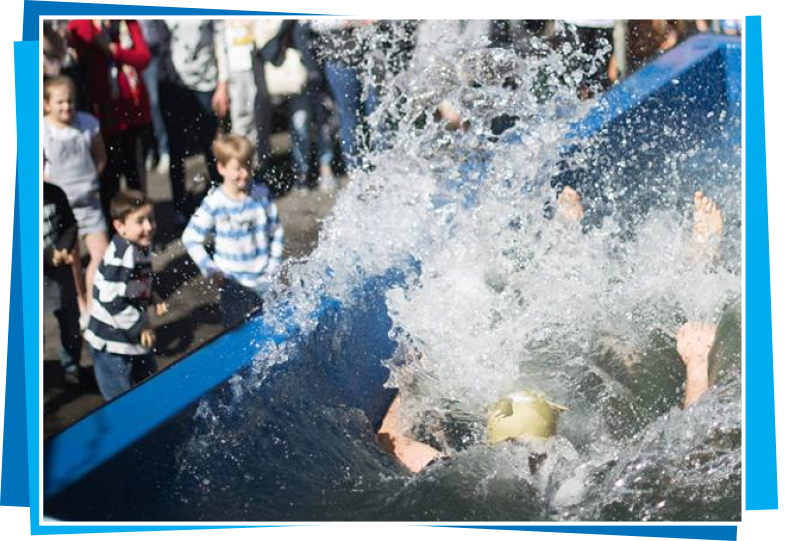 Last year we had nearly 40 participants go down the slide, with each raising more than the minimum $500. We had amazing support, and in particular from so many young children who did an amazing job raising thousands! Last year was a huge success, let's make this year even bigger! Take a look at who's registered. There may be a friend, family member or work colleague that you can contact to help them reach their $500 target! Motor Neurone Disease (MND) is the name given to a group of diseases in which the nerve cells (neurones) controlling the muscles that enable us to move around, speak, swallow and breathe fail to work normally and eventually die. With no nerves to activate them the muscles gradually weaken and waste. The Tassie fight against Motor Neurone Disease. Tassie Freezing for MND is a fundraising committee based in Launceston, Tasmania. Now in it’s third year, Tassie Freezing for MND has contributed over $215,000 through the Big Freeze event and gala ball, in a bid to help find a cure for motor neurone disease. The fundraisers have been heavily supported by Neale Daniher, Vice Chairman of FightMND, who has attended both events in Launceston and continues to fight his own personal battle with MND. The fight against MND, and the crusade to find a treatment and cure continues in earnest - we are not there yet. To show your support you can register to slide... all you need to do is raise a minimum of $500 by the 3rd of October. If sliding’s not for you... we welcome donations of any size - every dollar counts!